While coastal development and climate change are increasing the risk of flooding for communities along the U.S. Gulf Coast, restoration of marshes and oyster reefs are among the most cost-effective solutions for reducing those risks, according to a new study. Published April 11 in PLOS ONE, the study compares the cost effectiveness of nature-based and artificial solutions for flood reduction across the Gulf of Mexico. The results clearly demonstrate the value of nature-based solutions such as marsh and oyster-reef restoration. Overall, wetland and reef restoration can yield benefit-to-cost ratios greater than seven to one, meaning more than $7 in direct flood-reduction benefits for every $1 spent on restoration. Many artificial solutions (such as levees and home elevation) have benefit-to-cost ratios near or below one-to-one; their benefits can be high, but they are expensive to implement at scale. The study was led by researchers at UC Santa Cruz, the Nature Conservancy, and the Swiss Federal Institute of Technology at ETH Zurich. It applied the Economics of Climate Adaptation (ECA) approach, which was developed by reinsurance company Swiss Re and partners to understand what drives coastal risk and to evaluate the cost-effectiveness of adaptation options. The devastating 2017 hurricane season offered a harsh reminder of the destructive power and economic impacts of coastal storms. The U.S. Gulf Coast faces intense hurricanes, as well as land subsidence and rising sea level, and climate change is increasing the risks of coastal flooding. The new study quantified the flood risks to people and property for the entire U.S. coast of the Gulf of Mexico under current and future climate scenarios and economic growth projections. It showed that future flood risks from coastal hazards will grow, and that the major driver of risk in the Gulf is coastal development, particularly for the most extreme and costly events: the more people and property exposed to coastal hazards, the greater the flooding risk. Climate change, however, will result in more frequent losses. Events causing $100 billion in damages may become approximately three times more frequent in the future, the study found. State and federal agencies are investing in coastal protection strategies to reduce these risks, but most of the funds are going toward so-called "gray infrastructure," such as seawalls, which can further degrade coastal ecosystems. There is growing interest in "green" or nature-based options, such as restoration of coastal wetlands, but comparative studies of their effectiveness have been lacking. This study is the first to quantitatively compare the cost effectiveness of a wide suite of natural and artificial flood reduction measures across an entire region. In the Gulf of Mexico, oyster reefs, coastal wetlands, barrier islands, and beach dunes provide coastal protection by reducing wave energy, trapping sediments, and attenuating storm surge. “We show that nature-based measures for flood reduction can be considered right alongside artificial or gray measures such as seawalls in industry-based benefit-cost models. 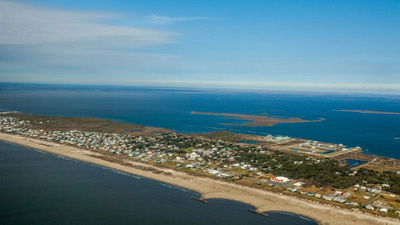 This removes a major impediment for engineers, insurers, and risk management agencies for building coastal resilience more naturally,” said project team leader Michael Beck, lead marine scientist at the Nature Conservancy and a research professor at UC Santa Cruz. The study found that nature-based solutions alone could help avert more than 45 percent of the climate risk over a 20-year period, saving more than $50 billion in flood damages, with average benefit to cost ratios above 3.5. Nature-based solutions can be directly compared with artificial, "gray" measures in a common framework using open-source tools based on those used by the insurance risk industry. 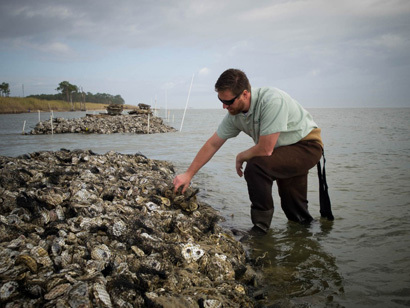 In the Gulf of Mexico, the study found, oyster reef and marsh restoration are among the most cost-effective solutions for flood risk reduction. These nature-based solutions can be even more cost effective if additional ecosystem services such as fisheries, recreation, and other benefits are considered. The team developed open-source software based in part on Swiss Re’s natural catastrophe model to assess flood risks and adaptation solutions. All of the results and maps showing the cost effectiveness of adaptation solutions under future climate change and development scenarios are available in an interactive mapper available online at CoastalResilience.org.